I’m thoroughly unclear on what the objective of 2016 is other than to methodically kill off everyone involved with the wine world. With a string of high-profile winemakers dying in France as well as Zlatan Plenković in Croatia, it seems that the year is not finished as I was very, very unhappy to hear that Philippe Geeraert passed away last week. 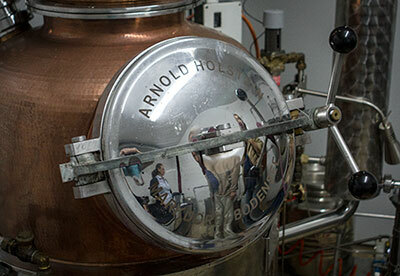 The name will probably be unfamiliar to most as he wasn’t a winemaker but a distiller. Philippe and his wife Brigitte came to Priorat many years ago from Belgium. 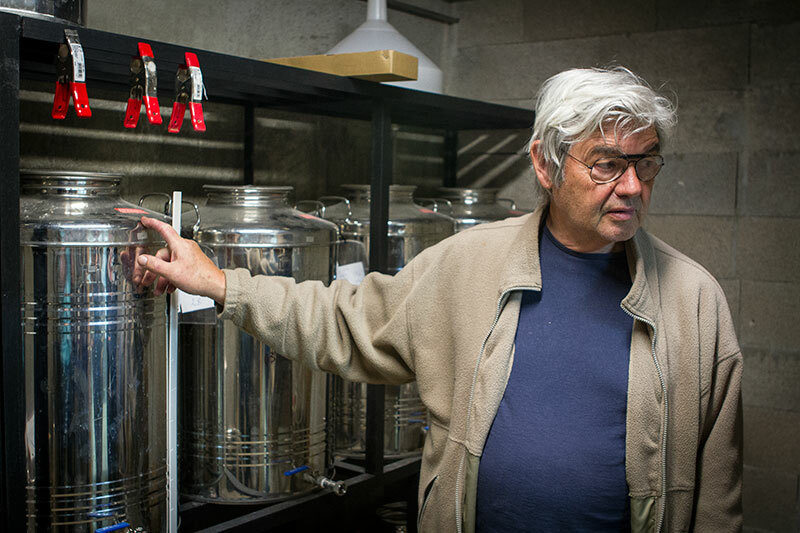 In his “retirement” Philippe started distilling “aiguardent” (a Catalan/Spanish distillate similar to grappa) at his home. Due to how Spanish law regulating the distillation of alcohol works in favor of those producing vast quantities, he had to put in considerable work to get a small, craft distiller approved as small home stills had long ago been banned due to how inherently dangerous they are. Once approved, he started creating the “La Quinta Essència dels Llops” made of the grape “marc” from Clos Mogador. Very much a craft product that was sold locally, it was a considerably more elegant take on the the classic “orujo” produced in Spain and I would enjoy it from when the chance arose. Always tinkering around, Philippe created other products as time went on with BCN Gin being his latest that he created with his business partner, Stefan Lismond. It’s a much more Mediterranean take on the classic Gin recipe is made from herbs and botanicals gathered from within Priorat. Popular with Gin&Tonics, the profile of it had been raising a good deal since being introduced into what is admittedly a crowded market in terms of local Gins. Last week, there was an explosion while Philipe was working with an infusion of rosemary in an outdoor space. While obviously an act he had done many times before, something obviously went horribly wrong and it hospitalized him for several days until he died of his injuries last Thursday. Most definitely one of Priorat’s most colorful characters, I always enjoyed Philipe’s company whenever I’d encounter him at the Àgora café in Falset. He had a wonderfully entrepreneurial spirit and an intrinsically curious nature to him that I can only hope rubbed off on others in the region and I will sorely miss him from the myriad of events we would encounter each other at. I can but give my condolences to his lovely wife Brigitte, his charming and delightful architect daughter Sophie, and her fantastically engaging translator/carpenter husband Axel. The meager 10,000 of us who live in Priorat County lost one of our most wonderful souls. Quel bel hommage à Philippe. Dommage que votre belle aventure n’ai pu se poursuivre. Mais longue vie au BCN Gin !